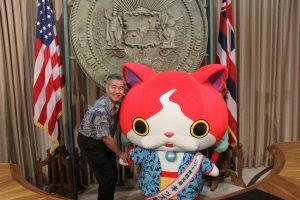 Jibanyan, official Kids Spokesperson of Hawaiʻi Tourism Japan, made a courtesy call to Mr. David Ige, the Governor of Hawaiʻi, as his first job as a spokesperson. At the Hawaii State Capitol, the Governor received him cordially with a shaka sign. 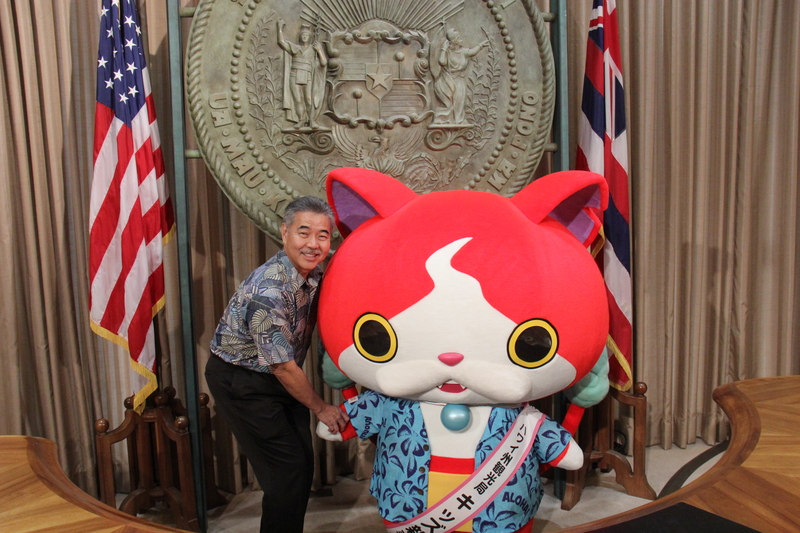 Jibanyan has informed the Governor that his first action after being inaugurated as Kids Spokesperson was that he promised to send many Japanese children to the State of Hawaiʻi.